Homeowners in Nutley often don’t realize just how important a driveway is when it comes to curb appeal; it’s one of the first things guests see when they arrive and one of the last when they leave. 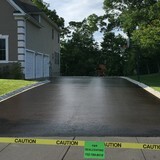 So if your front drive is damaged or you want to switch from, say, a gravel driveway to an asphalt one, hire a Nutley, NJ driveway installation and maintenance professional to help you create your dream driveway. From installation to repair, Nutley, NJ driveway contractors are responsible for a variety of planning, installation, construction and driveway maintenance services. Driveway materials. 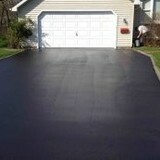 While most driveway contractors in Nutley, NJ primarily work with asphalt, they are also experts on the wide range of available driveway materials. If you are looking for something different than a standard asphalt driveway, your pro can help you select driveway pavers or customize a brick driveway design. 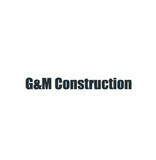 A driveway installation and maintenance professional may work closely with a Nutley, NJ builder, landscape professional or various manufacturers and suppliers. 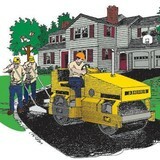 Find a Nutley, NJ driveway installation and maintenance professional on Houzz. 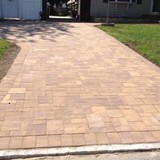 Narrow your search in the Professionals section of the website to Nutley, NJ driveway installation and maintenance. You may also look through Nutley, NJ photos to find examples of driveways that you like, then contact the professional or contractor who worked on them.